Download this image (JPG, 376 KB). [10-Jun-16] Principal Investigator Eric Hochberg directs sampling efforts during the COral Reef Airborne Laboratory (CORAL) field campaign. 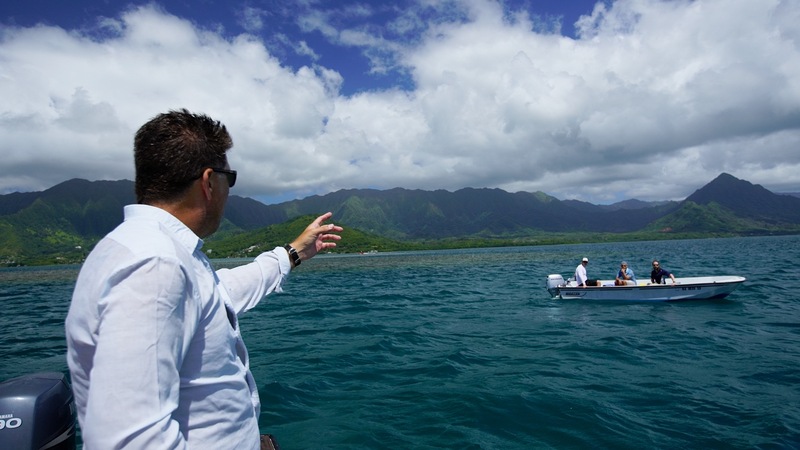 The campaign aims to asses the state of coral ecosystem in several key geographic areas. The detail of measurements taken and the number of sites will be the largest ever measured in this manner.